PDA technology brings you the latest training device for teaching blood pressure skills. Our battery operated blood pressure trainer can also be plugged into any 110V but no 220V AC and comes with the adapter and jack. The PDA is also included, along with the programming and a BP cuff to allow for realistic blood pressure training. 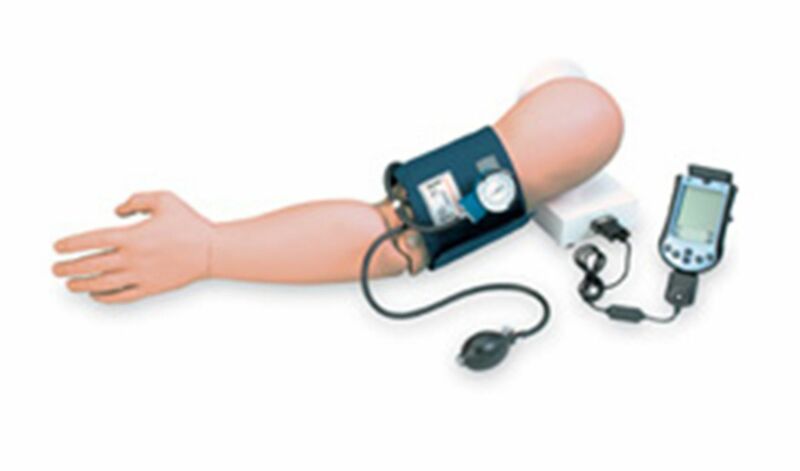 This PDA blood pressure training arm features: Sphygmomanometer placement, Palpation of the radial pulse, Variable systolic a diastolic pressures from 0-300 mm Hg in two mm increments, variable amplitude of sound heard at the antecubital site. 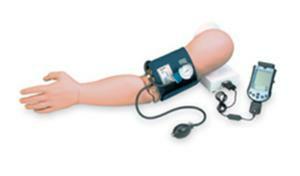 This is a great PDA blood pressure arm.